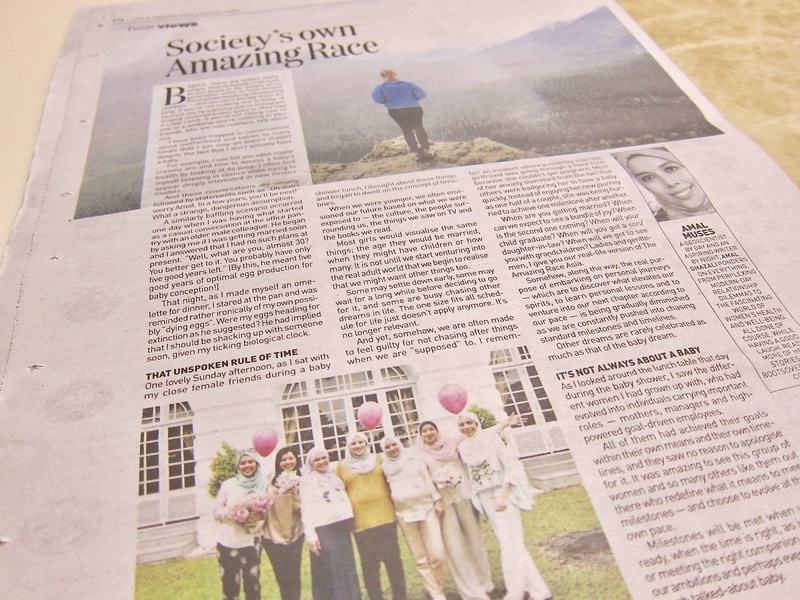 We're in NST | escaped. Look who’s in NST a few days ago? 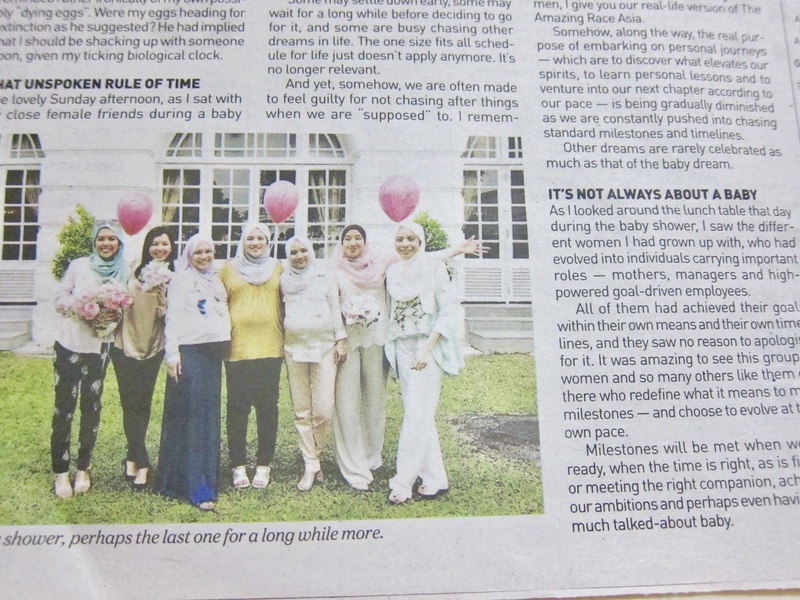 Amal is now a writer for NST, and during Jua’s baby shower a few weeks ago, we joked about her covering the event for NST so that we could be in it. She was horrified and kept telling us “no, guys, it doesn’t work that way – I submit the articles based on categories for the week and it’s up to the editor to say which gets to be published” and we laughed it off, still insisting to have our faces to grace the national newspaper haha. Little did we know, she wrote one and got published! Amal is known to have this quirky sense of humor and it translates into everything she does – her blog, her career as a geologist and now a columnist. If you read her previous 2 articles on NST (you can read them here), you’d understand. She has this magical power to inject humor in her writings that make them so enjoyable to read. And reading this article about babies and milestones, I couldn’t help agreeing with her. Turning 30 made me reevaluate my past decade of 20s and what I’ve achieved, in my own pace. I did not wish to compare myself with others because that’s what I believe in – set your own goals and work on your own to achieve them; as simple as that. I wish more people would see it too. My milestones might include marriage, babies, professional life – but yours don’t necessarily be the same. Some people want to wait and conceive in their 30s when they’re certain of their career; that’s perfectly fine too. Some people don’t wish to pursue their academic because they don’t see another certificate’s benefit in their line of work; and that’s perfectly fine too. Different people work different ways. There’s no need to set your goals same as others. As for me, I’m just glad to have my face printed in the national newspaper just as I entered my 30s haha.